Sam Champion’s father Lt. Col. James H. Champion passed away last night, Oct. 25. 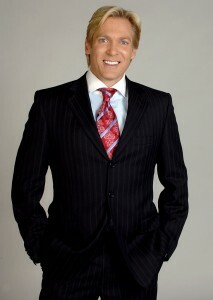 Champion, ‘Good Morning America’ (weekdays, 7AM on ABC) weather anchor, will take a leave of absence following his father’s death. Champion, who is not a meteorologist, has been the weather anchor on ‘GMA’ since 2006. He will not be on ‘GMA’ for the rest of the week. Tallest Residential Building Coming to Manhattan? Next: Indonesia’s Merapi Volcano erupts!